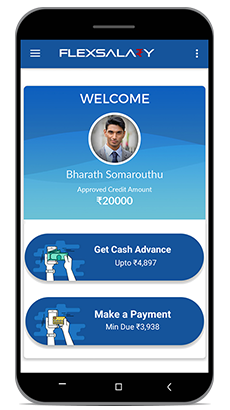 FlexSalary provides personal loans instantly through the mobile. 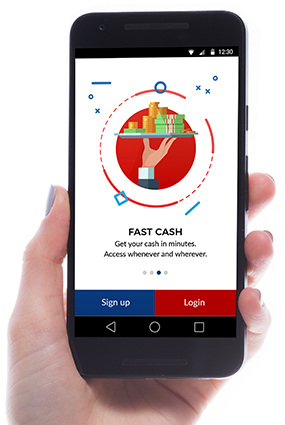 You can now receive funds on the go! So, no need to be worried about emergencies. Here is how it works. Click on 'Apply Now' and fill in your personal, work and bank details. To verify your details, choose EBV or manual verification. 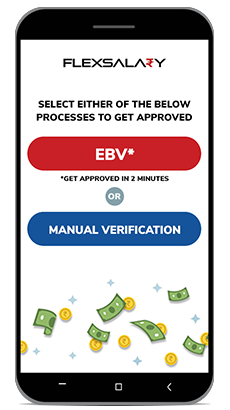 With EBV, you can receive instant approval. 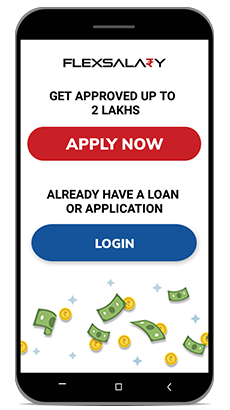 Receive instant cash loan in India into your FlexSalary account.Withdraw the amount you need to use. If you are worried about providing your bank details to us, don't fret. We have an alternative procedure to receive salary advance in India. Provide your personal and financial details. Our credit line ranges from Rs.4,000 to Rs.2,00,000. Once your loan is approved you can borrow any amount you need within the limit. You will be	charged interest only on the amount used. We recommend to perform EBV to receive funds within the same day. You can use the credit line whenever you require as	long as you pay the minimum repayment amounts. So, are you interested in amplifying your lifestyle? What are you waiting for?